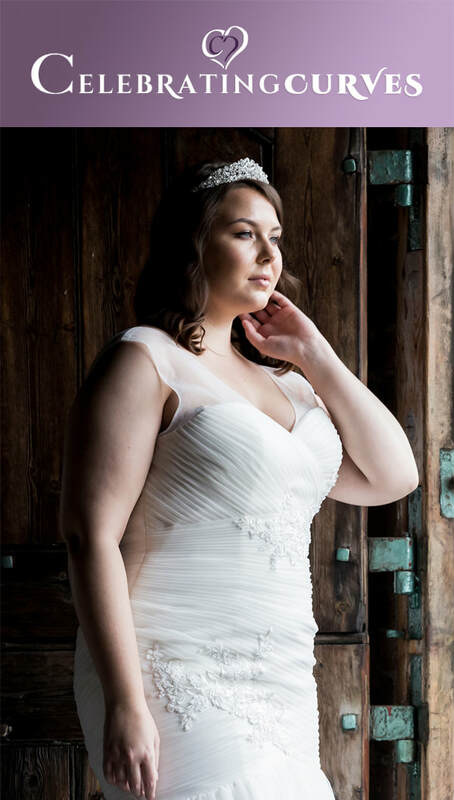 Celebrating Curves - the bridal studio devoted to curvaceous fuller figure brides in sizes 16 to 30 plus - The Bride - Celebrating Curves - the bridal studio devoted to curvaceous fuller figure brides in sizes 16 to 30 plus. Misty tulle A-line gown with deep sweetheart strapless neckline and sheer peekaboo. Beaded lace appliqué generously adorning bodice and flowing gown skirt to a clean tulle hem finish. Removable, sheer tulle halter illusion jacket with beaded lace included. Zipper trimmed with diamante buttons and chapel length train (removable spaghetti and halter straps included). Also available with corset back. A modern day fairytale awaits you in Rylee. Tiered asymmetrical layers in a full A-line silhouette softly finished with light lace appliqué and pewter detailing. Strapless sweetheart neckline with fine tulle draping that contours the bust and a crystal encrusted belt that frames the waist perfectly. Corset back closure and chapel length train. Also available with a zipper back closure with diamante buttons. Detachable spaghetti/halter straps included. Picturesque in A-line beauty McKenna – With a high scoop sheer illusion neckline adorned with lace appliqué. Beaded criss-cross back straps and beaded belt frames the waist perfectly. Misty sparkle tulle for hints of soft shine throughout – bodice richly adorned with lace with lace trim softly trailing down skirt to exquisitely opulent hem lace on a chapel length train. Zipper back closure trimmed with diamante buttons. Skirt is also available without the glitter layer. 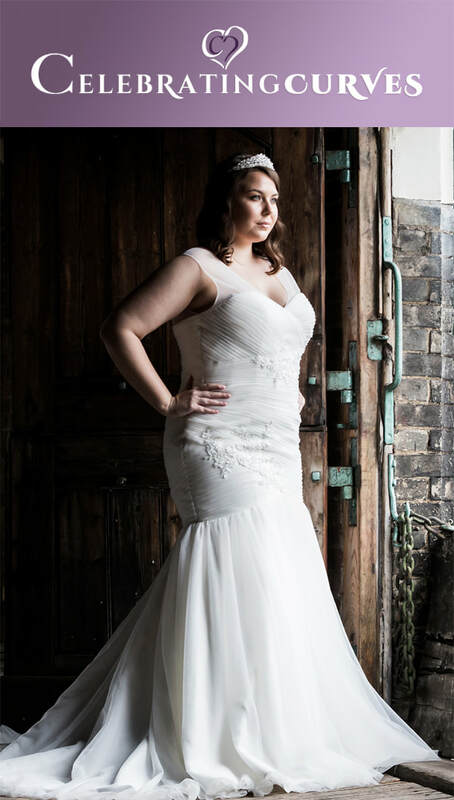 Christina Wu Love is a plus size wedding dress collection aimed specifically for girls with curves. 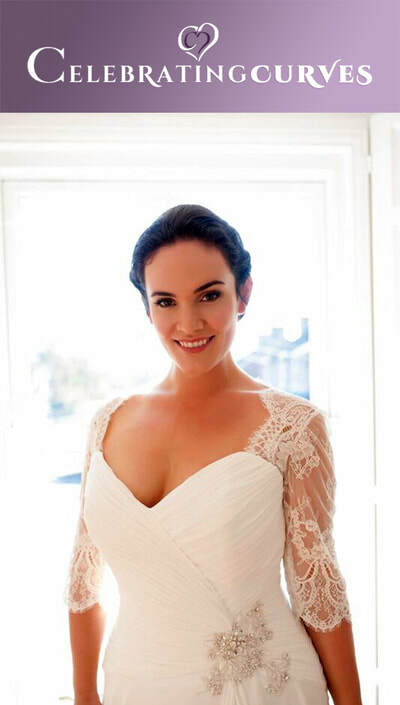 Each wedding dress incorporates longer boning and a more specific size chart. This gives the Christina Wu bride a wedding dress that not only fits well, but will make you feel fantastic. 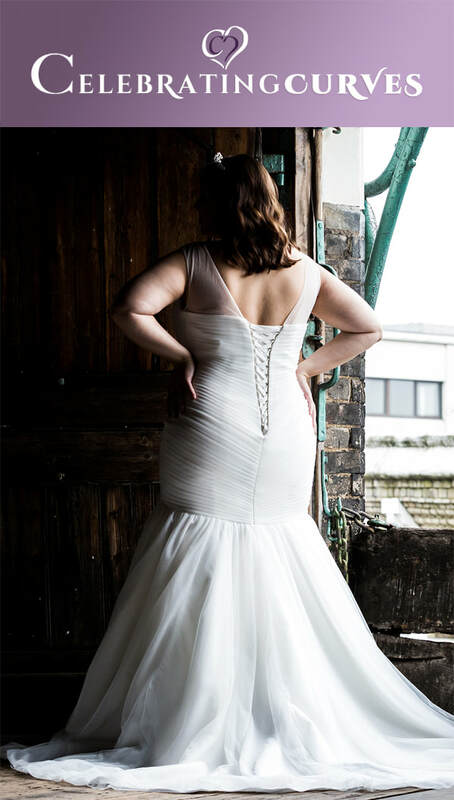 Each Christina Wu wedding dress comes with detachable straps and lace up backs to ensure every bride feels happy on her wedding day and allows the bride to show off her curves. Eternity Bride is all about romance and timeless elegance, as well as rolling the mainstream fashion trends. Art Couture is a collection for the fashion forward bride, covering the trend for modern bold gowns. This strapless, A-line, sweetheart neckline gown features a romantic, floral lace appliqu_ that trails down the bodice, on to the skirt. The bodice has an exposed boning detail to create shape. The hem of the skirt is finished with a scallop lace border. A beaded belt wraps around the waist. This clean, Mikado A-line gown is perfect for the modern bride. A fitted bodice with a plunging neckline flatters the neckline. 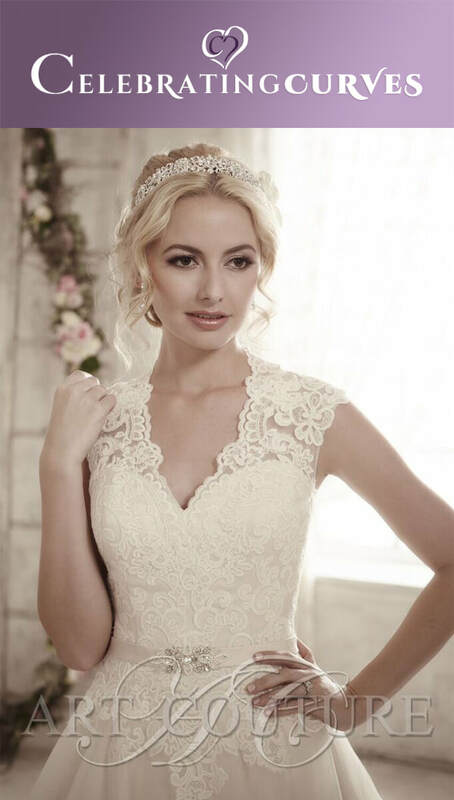 There is an illusion panel inserted at the front neckline to add support and coverage. 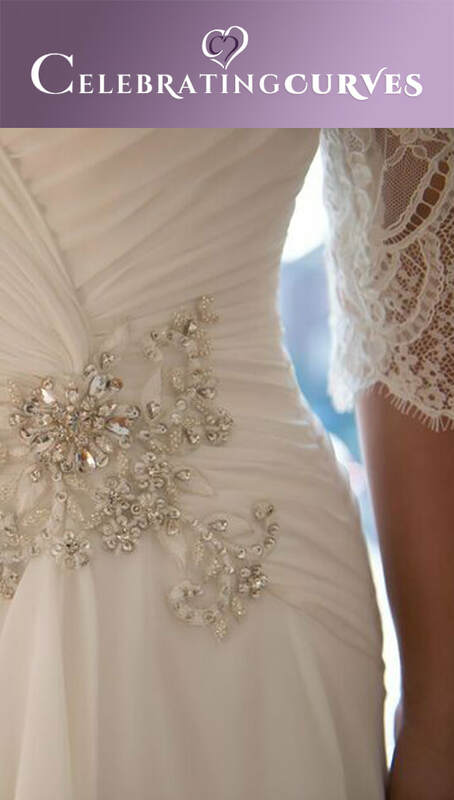 The straps are beaded and there is a beaded belt that wraps around the waist. The A-line skirt has covered buttons down the center back. 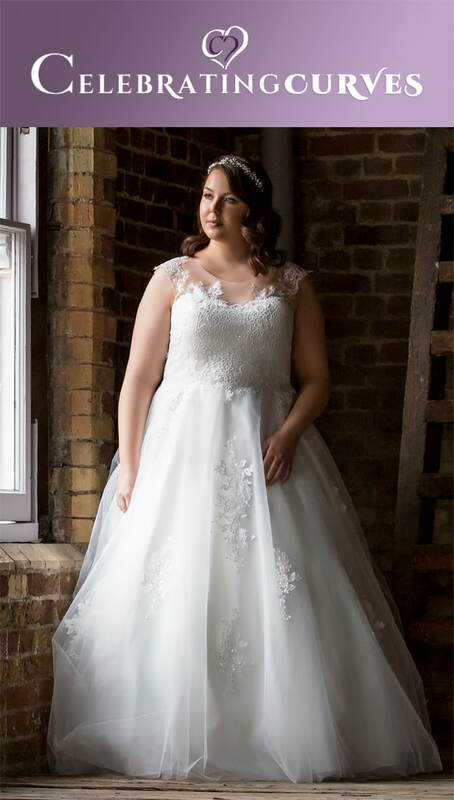 Eden - Regal style wedding dress with romantic tulle aline skirt elegant lace bodice featuring a central beaded motif on satin waistband and illusion back with button detail. Eden is available in Ivory, Light Gold or White. This off the shoulder trumpet gown from the House of Wu, is made of floral lace appliques that slowly fade off as they reach the hem. The lace is placed on a layer of tulle. Buttons cover the center back zipper. 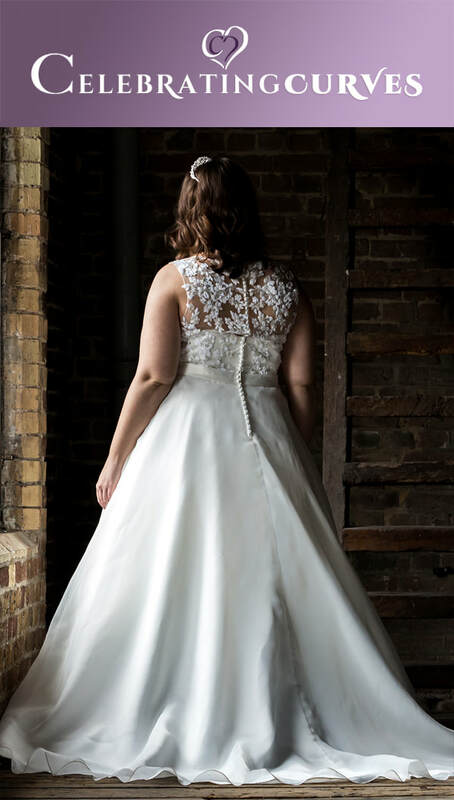 A classic and traditional satin ballgown, “V” neckline and back detail, buttons decorate the back of this gown down to the edge of the train. Beautiful Lily is a stunning lace Aline ballgown with bardot neckline. The floral lace is placed on a layer of tulle. Buttons cover the center back zipper. This elegant trumpet ball gown features romantic lace motifs with a full tulle skirt. Mary's Bridal has been providing exquisite yet affordable Bridal Gowns for the past thirty years. Our Bridal Gowns designs have won several awards and we’ve been featured on several shows and in various magazines. 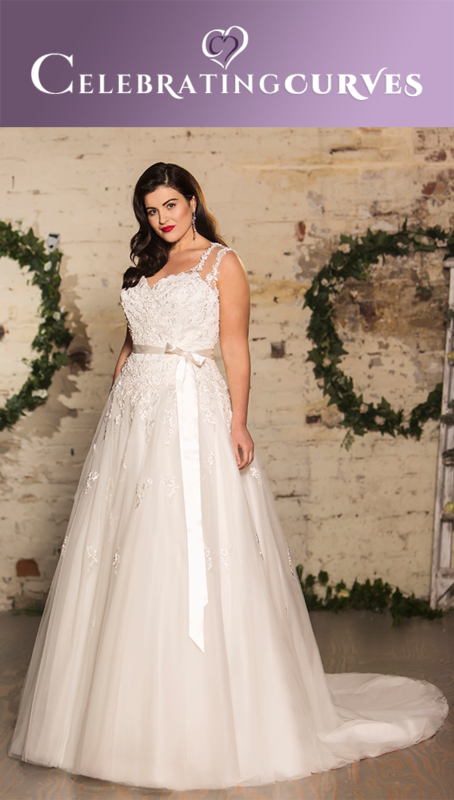 We pride ourselves on the quality of our Bridal collection and aim to exceed all expectations. Each season we offer Bridal Gowns for brides that range from classic and vintage to modern chic. Mary's designers produce Bridal gowns that promote beloved silhouettes like ball gown and sheath dress. 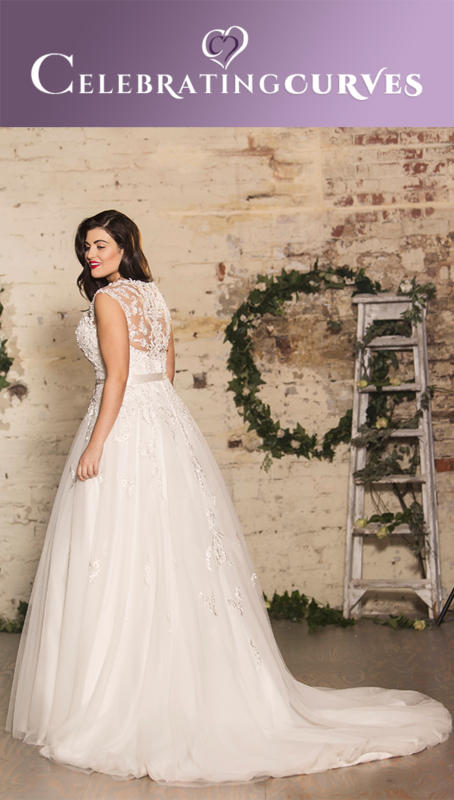 With many colours and options to choose from, you will be delighted by Mary's beautifully designed Bridal Gowns featuring hand-beaded V-backs, tulle overlays and lace appliques. 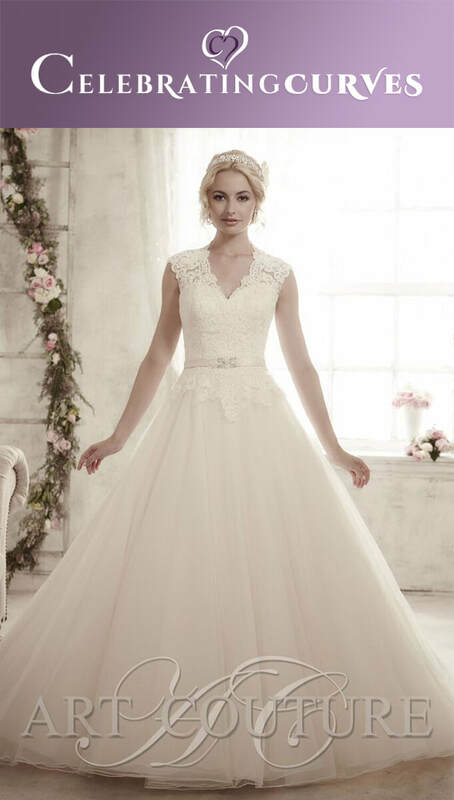 Off-the-shoulder tulle wedding ball gown features sweetheart pleated wrap bodice, beading detail on natural waist line, back lace-up closure, and gathered skirt with chapel train. 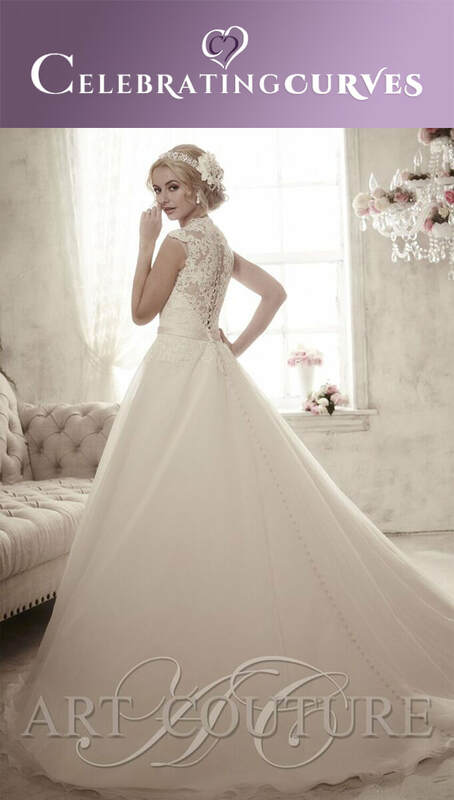 Tulle strapless wedding ball gown features pleated bodice, gathered flounce skirt with horse hair trim, sweetheart neck line, button details on back, and sweep train. Strapless sequin tulle ball gown features beaded sweetheart neck line, pleated wrap bodice, beaded waist line, back with button details, and chapel train. 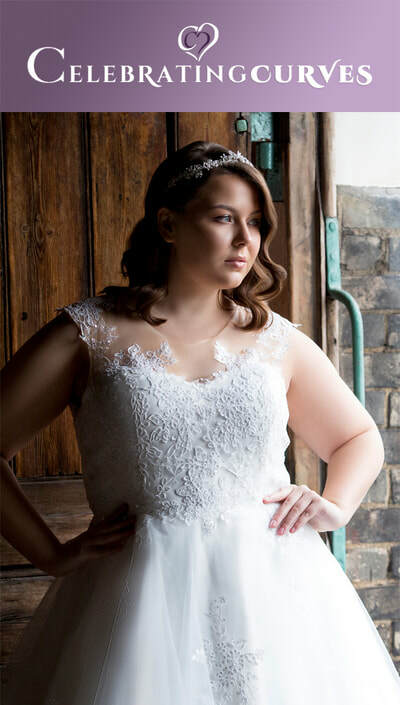 A romantic collection of stunning bridal gowns, the White Rose Graceful collection features breath-taking designs incorporating fabric such as lace, silk, soft satins, organza, chiffon and tulle. Gowns are designed with clever use of hand embroidery and beadwork. 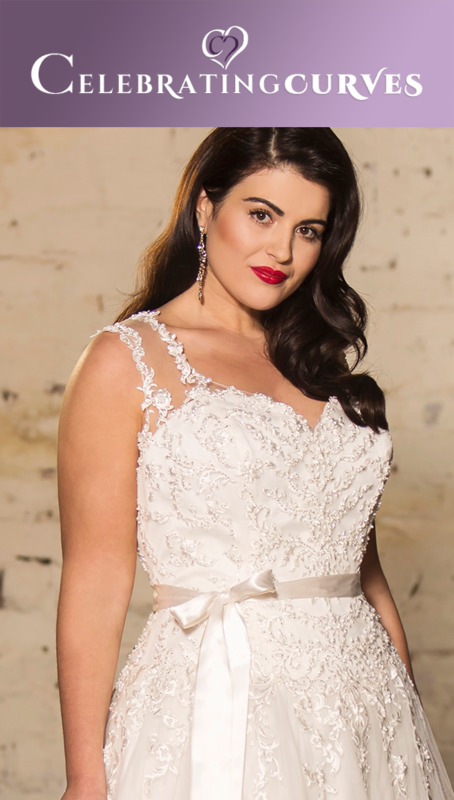 The White Rose Graceful collection offers a range of specially structured and designed gowns to flatter sizes 18 to 30+. Blossom into a beautiful bride on your special day wearing a White Rose bridal gown. Soft ruched dress in chiffon with 3/4 length sleeves. Heavily beaded detail on the hipline and zip. Watch this space - Further developments of this dress are expected and more information will be given soon. This is the amazing Isobel, she has it all. 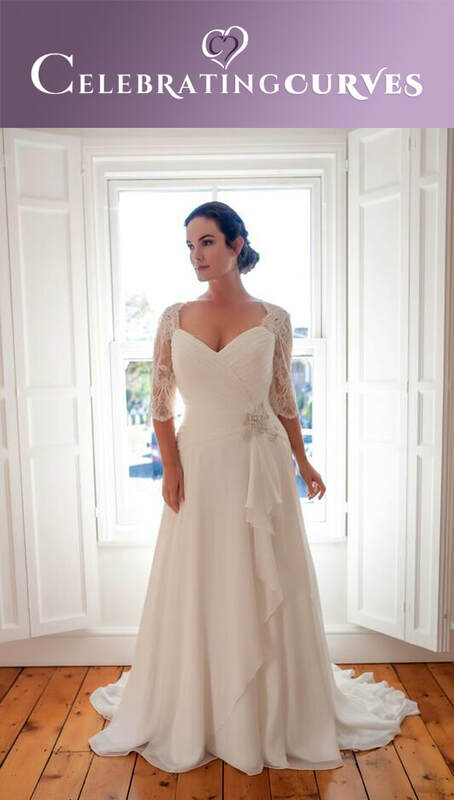 Beautiful beading, off the shoulder neckline with tiny delicate sleeves, a full skirt with stunning lace detail and scalloped edges. A corset back and a full cathedral length train. therefore we have taken the decision to include these images on our website, at this time, to show more choice.